There are many well-known risk factors for cardiovascular disease, and most medical practitioners say that the best way to reduce your risk of developing the condition is to live a healthy lifestyle overall. New research suggests that there may be another risk factor, though, one that is harder to avoid than fast food restaurants. The recent study found a connection between infections and an increased risk of heart attack. The researchers gathered data on 2,039 participants, collected through patient registries in four different cities in the United States. Of the participants, 1,312 had suffered a heart attack or other coronary event, and 727 had suffered a stroke. 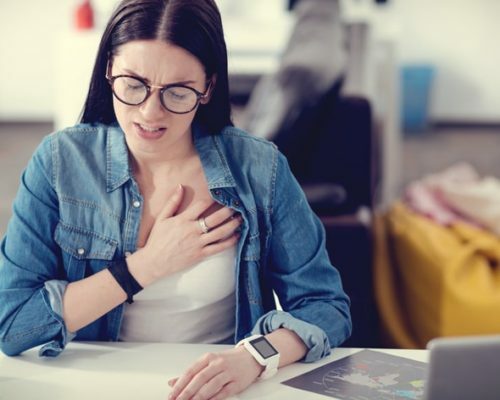 They found that, among those who had suffered a heart attack, 37 percent had experienced an infection prior to the cardiac event. This percentage was slightly lower for those in the stroke category, at only 30 percent. The data was gathered from both inpatient and outpatient care facilities. The findings were relevant for both types of treatment services, but those in inpatient care showed a slightly higher risk of heart attack and stroke. After analyzing the data, they noted that the risk of having a heart attack or stroke had significantly increased in this same group of patients compared with a year or two prior. They also identified the first two weeks after infection as the period of the greatest risk for suffering a subsequent heart attack or stroke. The researchers believe this may be due to the increase of inflammation in the body as a result of an infection. When the body tries to fight off an infection, the white cells it produces increase the stickiness of platelets, which can lead to the formation of blood clots, one of the significant causes of heart attack and stroke. The researchers went on to say that the more severe infection is, the higher our risk for cardiovascular events becomes. The most common infections reported in the study in relation to heart attacks or strokes were urinary tract infections (UTI) and pneumonia. Other infections included other types of respiratory infections, skin infections, and blood infections. The researchers feel these findings may lead to new regulations surrounding the treatment of infections in hospitalized patients. Mainly that these patients should also receive treatment to protect them from a heart attack and stroke before they occur. People should also be on their guard against infections as much as possible.